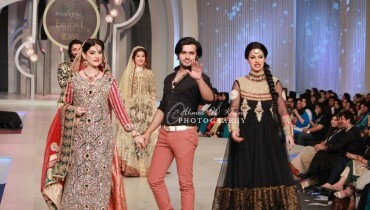 Annus Abrar spring summer collection 2013 for women was revealed just now. 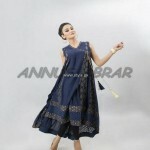 In this collection are a few casual wear and party wear dresses like the previous Annus Abrar collection 2013. Only a few dresses have been revealed but they are all simply fantastic. 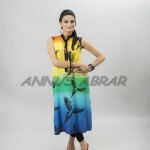 The clothes of Annus Abrar spring summer collection 2013 for women have long shirts and tights. Angarkha style shirts, frocks, a-line shirts and other such designs can be seen in the stylish dresses of this spring summer collection. 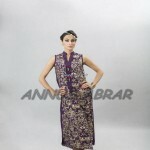 Some of the dresses are available in different colors also. 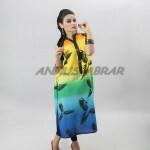 Annus Abrar spring summer collection 2013 should be considered by women, who are looking for something nice and unique to wear in the spring summer season. 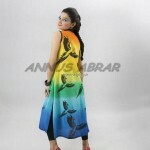 Annus Abrar is a fairly new name in the fashion industry. He started designing women’s clothes in 2012. In a few months, he achieved great heights of success and is now one of the popular fashion designers in Pakistan. He has graduated from a renowned fashion school in Pakistan and so, has expertise in silhouettes, cuts, colors, etc. He has great achievements under his belts. 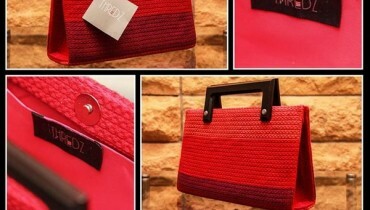 Right now, he is a rapidly emerging fashion designer in Pakistan. Orders for his dresses can be placed through email. 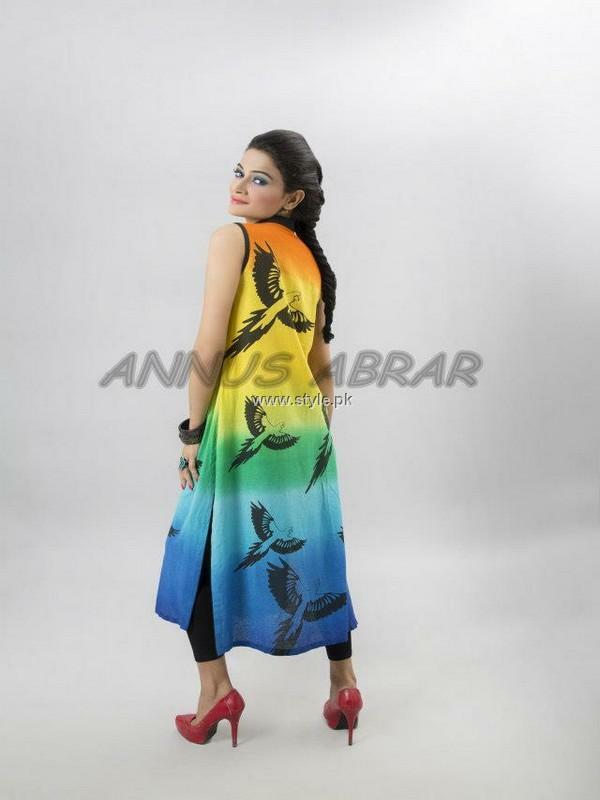 Annus Abrar spring summer collection 2013 for women can be seen here. The pictures of the spring summer collection are attached. 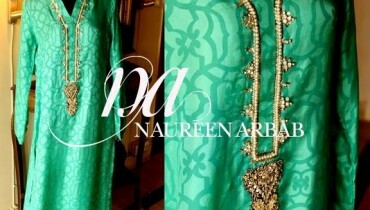 Annus Abrar spring summer collection 2013 will be exhibited soon. The details of the exhibition of the collection are given on the Facebook fan page of Annus Abrar. The email address through which, you can place orders for the dresses is also given on the Facebook fan page of Annus Abrar. The address of Annus Abrar Facebook fan page is provided. Go to the address given below to get further details on the designer and the dresses designed by him.